[By Nick, 2017 only] The lovely folks over at Gelato Fiasco sent both Dubba and I some free samples of their latest flavors plus a few other gems like a reformulated version of my beloved Torched Marshmallow S'mores Gelato. Out of the four new flavors being rolled out right now, this one caught my attention the most. There's so much awesome going on in that description. I've enjoyed their chocolate gelato in the past which is a plus from the start. The inclusion of a raspberry jam swirl is intriguing. I'm hoping that means it'll be a thicker consistency than most fruit swirls as well as a more natural flavor to it. What won me over was the mix-ins. 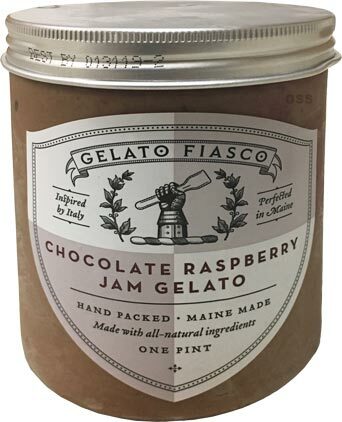 Gelato Fiasco isn't settling for chocolate shavings, chips or normal chunks. No, they're going for chocolate bar chunks. Knowing their standards, I have high hopes for some quality chocolate in this baby. This one isn't much of a looker at first. That's okay, neither is Dubba and we all love him. The chocolate base is just how I remembered. Rich, milky and almost fudge like in flavor. 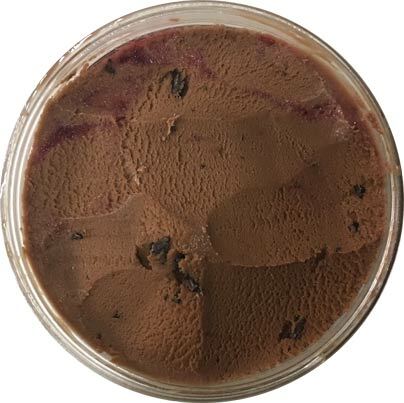 The gelato's consistency is smooth yet thick which gives it almost a fudge like texture as well. The raspberry swirl is a thing of beauty. It's what raspberry jam should be. Bright, fruity, slightly tart and it even has seeds in it! That's definitely a risky move because they could get icy fast. Thankfully they were able to handle it and they added a nice change of texture to the thick swirl. 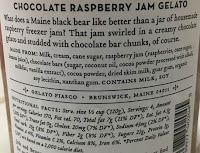 The raspberry flavor really helps to tame the richness of the chocolate so it doesn't become too much. That's a good thing because the chocolate bar chunks bring a whole new level of decadence to this pint. They're tiny but are well placed throughout the pint. The flavor is more on the lines of dark chocolate which is much needed. The bitterness works with the tartness of the swirl to make this a well balanced treat. 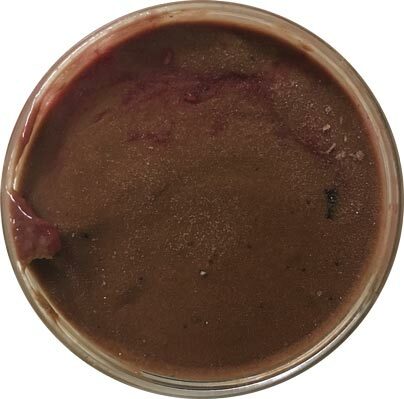 Not one component is dominating this flavor which is refreshing when it comes to chocolate based flavors. This is a very dangerous pint and before I knew it I was halfway through the entire container. 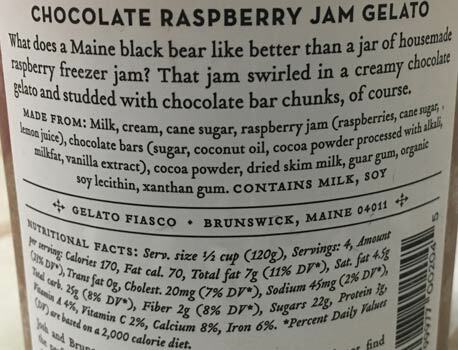 Gelato Fiasco really knocked this flavor profile out of the park. I had high exceptions going in but they surpassed them by a lot. This one is definitely up their as one of my favorite fruit flavors of all time. I'm even more excited to try the rest of the goodies I got now! Glad to know this is another winning flavor from Gelato Fiasco! I purchase from them often, but haven't tried this seasonal flavor yet. Are these available in Ohio? I've never heard of this brand but I am definitely intrigued by these flavors! By far the best gelato company and product in the market. Their caramel sea salt can't be beat! I'm in Fairfield and usually pick some up at either Meijer or Kroger. Tons of letters and numbers, I think you might've gotten a mishandled pint. Some stores are very terrible when it comes to properly stocking things which can lead to refrozen products which whatbuour experiences sound like. I'd give them another shot if you can find them in a different store! Liz, they definitely have some great seasonal selections. I believe these are all new for this year so you should be able to get them year round. Darrell, holly beat me to it.